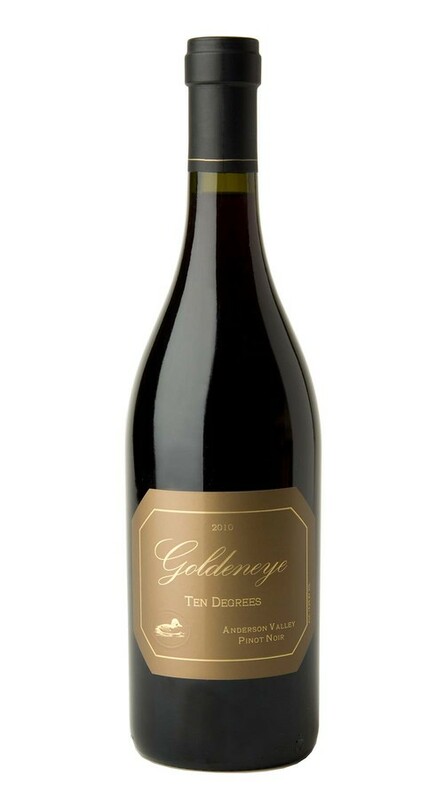 Made from our finest lots of wine, the 2010 Ten Degrees captures the rich diversity of our Anderson Valley Estate program. From its dark, brooding color to its aromas of cinnamon and white pepper, this is a wine that displays both power and poise. On the palate, it is round and rich with a dark fruit core. As it opens, layers of raspberry, espresso and bittersweet chocolate reveal themselves, all supported by balanced oak and acid. Sweet cigar box notes linger on the finish, extending the length of this deep, nuanced wine.